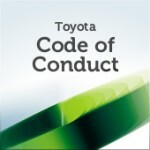 A pillar of Toyota is “Respect for People.” This concept is explained well in the Toyota Code of Conduct. This is not new to students of Lean Manufacturing or The Toyota Production System. Since joining eBay two weeks ago, I’m seeing some parallels between Toyota and eBay. The main similarity is, indeed, Respect For People. Respect for People has always been important to Toyota, and nowhere is this more evident than in the relationship among Toyota associates. Toyota presidents, chairmen and managers alike are quick to acknowledge that it is the hard work of these associates which has enabled the company to become what it is today. There has been only one exception to this rule throughout Toyota’s entire history. In June 1950, during a postwar period of great hardship in Japan, the company was forced to choose between corporate restructuring or risking complete collapse. Then-President Kiichiro Toyoda battled for months for the sake of his employees, but ever-worsening conditions showed the company to be unsustainable without significant change. Recognizing that if the company disappeared, so too would the livelihood of all Toyota employees, Kiichiro realized that lay-offs could not be avoided. With sorrow in his heart, he explained the circumstances to his workers, which led to 1,600 voluntary retirements. Management then vowed that this would be the first and last time such an event would come to pass at Toyota, and, in a gesture of respect to former employees, Kiichiro resigned from his position as president of the company. This act marked a new beginning: with neither money nor facilities to its name, the company concentrated on nurturing its one remaining asset — its people. Toyota was able to recover by relying upon the invaluable resource of associates’ knowledge and skills, with the lessons it had learned providing firm foundations for future growth. Honorary Advisor Eiji Toyoda recalls: “From then on, we started building a framework of mutual trust between labor and management. The process was like building a wall, block by block.” Toyota management realized that strengthening the company was necessary to safeguard the welfare of its employees, and recognized that trust is essential to foster and support that strength. Toyota associates in all areas of operation must continue to work together “like a strong chain,” in the words of President Watanabe, to nurture this culture of cooperation which helps Toyota benefit people and society. We encourage people to treat others the way we want to be treated. The eBay Values and eBay Behaviors above are absolutely astounding to me. Not only are the above items on my lanyard next to my picture badge, but I see the behaviors and experience the values in the people at eBay. It’s really very cool. The eBay Values are not just rote statements and the behaviors are not just empty slogans, but they are truly practiced by the people at eBay. Also, the values and behaviors above are also encouraged within the much larger eBay community — both buyers and sellers. This, to me, is almost magical to see. Pierre Omidyar, the founder of eBay, was not only bohemian in his approach to founding eBay, but ultimately he was visionary and also incredibly community and customer focused. I’m hiring. 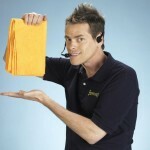 Please go here to read details on the qualifications I’m looking for. In my consulting practice, I observe the truth of this statement of this daily. I also observe very little work being done or even any discussion by others to further this fundamental concept. Sadly, I have never had a client ask me to help them to develop a culture of “respect for people”. Most either ignore the subject all together or assure me that they already do “it”, even though all the signs say they do not. In my humble opinion, respect for people is the key to achieving break through results, high employee engagement and long term sustainable success. Equipment and processes do not function without some form of human intervention. Therefore, respect for people is a prerequisite to successful implementation of any process or performance improvement tools. Interestingly, those few companies that do make respect for people a cultural priority seem to gravitate much more easily to utilizing whatever tools will help employees better “take care of the business”. Unfortunately, my experience tells me that when push comes to shove – or when revenues go flat or decline – businesses often behave in ways antithetical to the Respect for the Human pillar in the Toyota Production System. Sometimes, when a crisis hits and the company remains strong and continues to show Respect for People, it is typically those companies that come out of the crisis even stronger. I hesitate to use the term “principle” in describing this observation, but I’ve seen it enough that I can almost predict what the outcome will be. Again, thanks much for your comments and for taking the time to read shmula.